Sometimes the holidays stir up family squabbles that even Santa Claus can’t prevent. 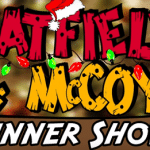 And few Christmas shows deliver comedy, fun, and excitement that can compare to the Hatfield& McCoy Christmas Disaster Dinner Show. Watch as these two famously feuding families come together for an evening of holiday food, fun, and entertainment. 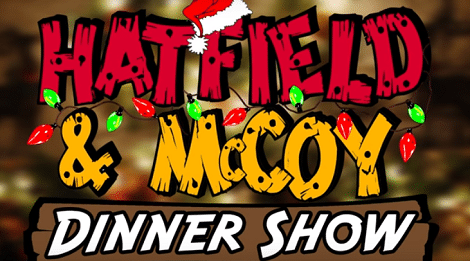 In this heartwarming and side-splitting performance, Ma McCoy and Pa Hatfield organize a truce in the spirit of the holiday season. 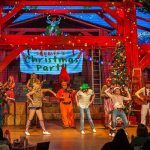 Instead of shooting, there’s singing, dancing, joking and amazing stunts that will make your own family disputes seem a little less serious this Christmas season. 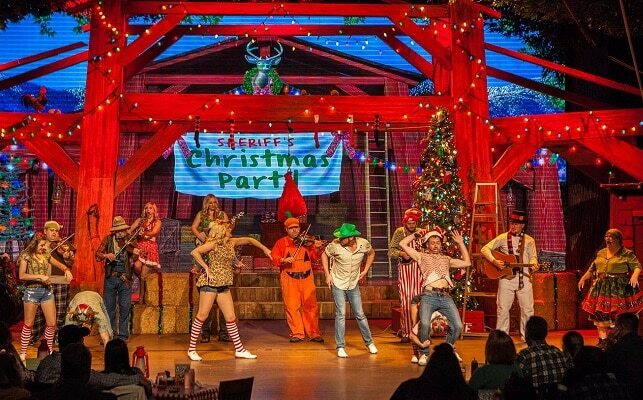 The whole family will get a kick out of the action-packed Christmas Disaster Show at the Hatfield & McCoy’s Dinner Theater, all while enjoying a full Southern-style Christmas feast.